"Eager to introduce you to our newest establishment, we welcome you to Saint-Etienne! Come share a friendly moment in our Lobby Lounge bar area and enjoy a unique moment in our upstairs terrace. 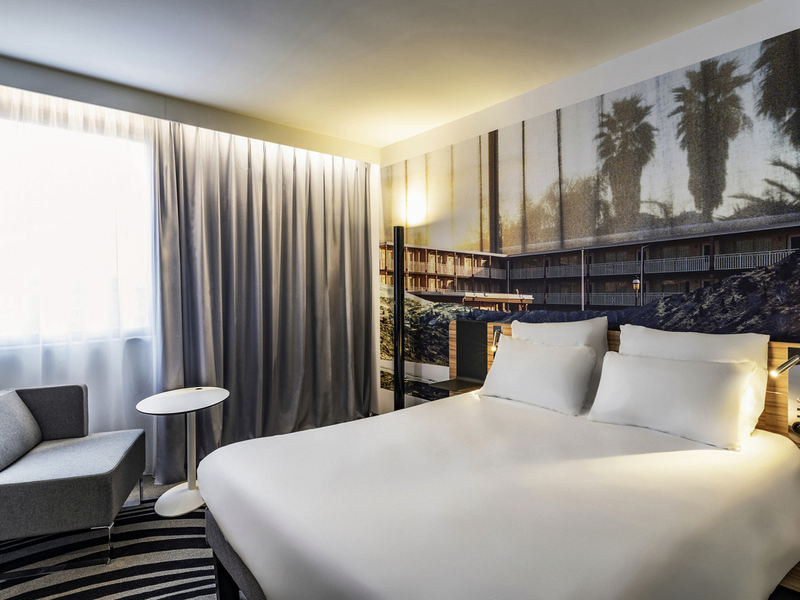 In the heart of the Chateaucreux business district, discover the Novotel Saint Etienne Centre Gare Chateaucreux. This new hotel offers 77 nextgen rooms, 4 meeting rooms and 1 fitness area. Unwind and relax in our Lobby lounge bar or on our terrace. Visit the Museum of Modern Art, the city of design. Enjoy Saint Etienne, its Opéra, the Comédie, the Museum of Art and Industry. Vibrate with the green areas at Stade Geoffroy-Guichard! Spacious, contemporary design and perfectly modular, the Novotel room is a real space to live and adapts to any necessity. A business meeting, a break in your day, a moment of sharing with friends or simply unwind after a busy day offering a special moment in a nextgen space.